A wall urinal can be an eco-friendly choice. 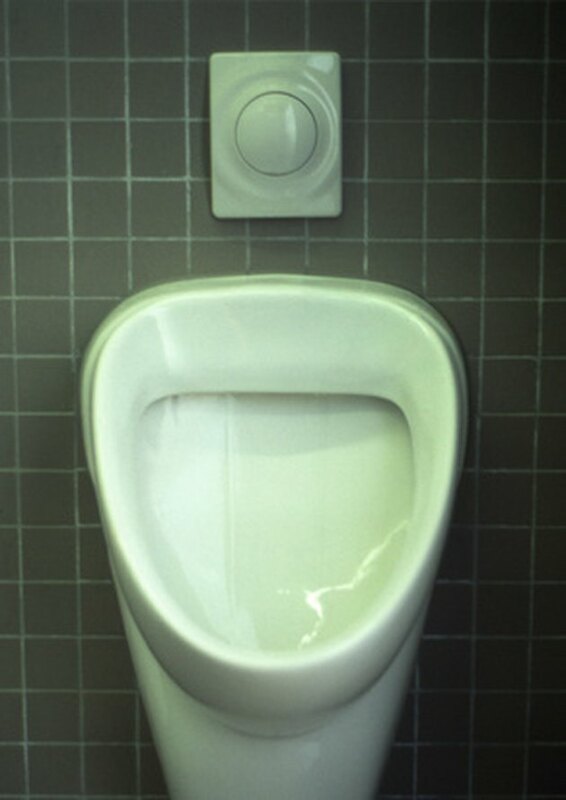 Measure your urinal to determine its specific dimensions, near the outflow pipe. Draw in where you would like to install your urinal on your wall with the grease pencil. Allow enough height for the comfort of anyone using the urinal, and that you can hang the urinal from studs in the wall or from another secure location. Check your sketch with the level to determine it is even. Determine where the pipes will feed water into and waste out of the urinal and saw through the wall to create outlets for the pipes. Locate the water pipe and sewer outflow pipe in your bathroom. Then measure your urinal to determine its specific dimensions, near the pipes. Shut off the water and connect your urinal to the pipes, using the pipe wrench. Apply the sealant tape on the pipes and then attach the female collar and gasket included in the urinal hardware package. Screw the collar securely into the wall. Hang the urinal using the wall hangers included in the hardware package, ensuring it is placed precisely for the pipe. Turn on the water and test it with a few flushes to ensure everything is secured properly.